Will Fisker Get Help From Wanxiang, New A123 Systems Owner? Last week, the Chinese company Wanxiang got U.S. government approval to buy bankrupt lithium-ion cell maker A123 Systems. With that underway, will China's largest auto-parts company now turn its sights toward one of A123's biggest customers, Fisker Automotive? That seemed to be the implication from a Reuters article last week. Wanxiang America Corp. President Pin Ni said it would be "in our interest" if his company could "help Fisker, any way we could," in a phone interview last Wednesday. That was as far as he went however, declining to comment on whether Wanxiang intended to make an offer for Fisker. Similarly, Fisker spokesman Roger Ormisher declined to say anything at all about any discussions with Wanxiang. Ormisher said only that Fisker had received expressions of interest from "a number of different potential partners or strategic alliances spanning three continents." Tony Posawatz, CEO of the struggling luxury electric-car maker, has been in China seeking additional investors and new strategic partners for Fisker--most likely including an outright sale of the company. In December, the company said it had hired a restructuring consultant, Evercore Partners, to assist it in evaluating alternatives to keep the company going. Posawatz said last week he wanted to finalize a deal by the end of February. On Wednesday, the company acknowledged it had brought in Huron Consulting, a specialist in cash conservation, for the interim period. 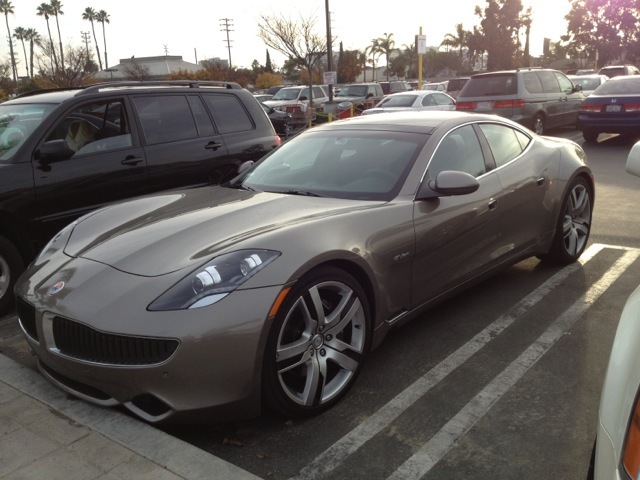 The Fisker Karma was launched late in 2011 after many delays, and received rave reviews for its sleek styling but mixed to negative reviews for most of the rest of the car. Assembly of Karma vehicles by Finnish subcontractor Valmet ended in mid-2012 when A123 declared bankruptcy and stopped building the lithium-ion cells used in the battery pack of the range-extended electric luxury sport sedan. Fisker needs more financing to complete development of its next model, the Fisker Atlantic mid-size range-extended electric sedan, which it showed last year at the New York Auto Show. Under the best of circumstances, that car would not likely reach the market until sometime in 2015.